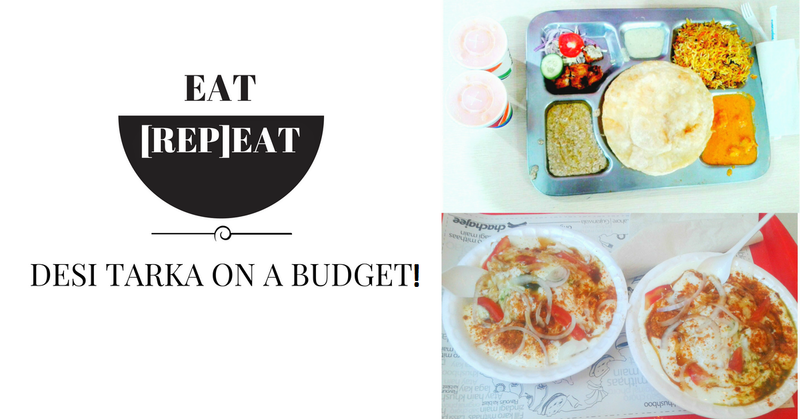 EAT [REP]EAT: Desi Tarka On A Budget! If you're not much into red meat or have had enough of the qurbani ka gosht that you've been devouring in practically every meal at home and at eid get together(s) and to make things worse, even the sight of it makes you feel bad for your poor bakra, who haunts you in your dreams, I have a very economical alternative option lined up for you. By the way, we have started another new series on the blog which is related to all things.. FOOD! The other day, my ex-colleague visited me at home and being an impulsive cook, I did not have enough to serve her with (except beverages, chai and snacks), we went to the Centaurus mall for lunch - the only place we could think of to survive the killing heat. Food decisions are the biggest ones in my life I tell you. I LOVE desi food but I still feel Islamabad is lacking in terms of desi food, in comparison with Lahore and Karachi, and even my hometown, Sialkot and all other cities across Punjab that I've been to. Besides, I am having a knack of always ending up burgers from Howdy, Tayto, Burger King, and Johnny Rockets’ at the mall, particularly the jalapeno ones, so my vote was for junk food. My friend, on the other hand, was all for desi food. Since she was the guest, (I reminded myself), so we settled for Desi Food, and I suggested Chacha Jee, one of the kiosks at Centaurus mall food court. Behari Melts consisted of chopped, almost minced chicken cooked in white sauce. I feel that boneless chicken tastes better, I did like the gravy, though. Mughlai Chicken contained a few chunks of boneless chicken BUT the gravy was out of this world – Best I have EVER had. Fried Seekh Kabab (also of chicken) was quite tender, marinated with a perfect balance of spices. As for the paratha - it was poori actually! Thankfully though as the paratha would not have tasted better! The poori was light and crispy-yet-tender while the naans served to us were tender, hot and fresh. The best part was that the food was not too oily. The complimentary fresh salad and Raita/chutney were just okay. Drinks had to be ordered separately. Overall, the traditional thaali by Chacha Jee was a good value for the price and the quantity was just enough for two people. Being somebody who was born and bred in Islamabad, I've always felt that it is hard to find the traditional channa chaat here. On my visits to Punjab, I make sure enough I gobble up gol gappay and channa chaat until my throat hurts. The other day, I had a chance to try the spicy chaat by Chacha Ji. 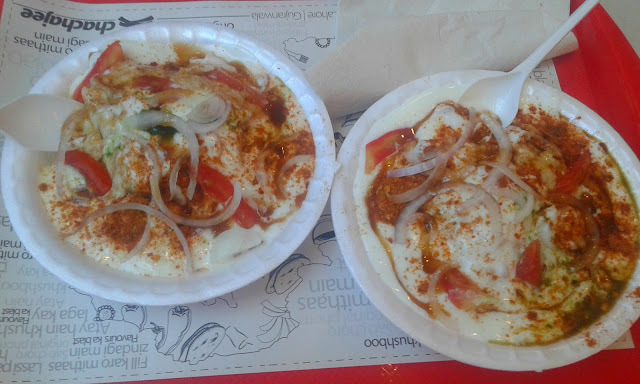 Although I found it to be better than the chaat sold at many other places in Islamabad, but it's hard to forget the tough time that the slightly sour yogurt and a high doze of salt in the chaat masala gave us as we were on a lunch break from work. The green chutney and paapri made it all the more better. However, I still feel it is way better than the practically very few other restaurants in my locality that sell channa chaat. Final Verdict: If you are looking for affordable desi meal deals in Islamabad, Chacha Jee Kiosk at the Centaurus mall, Islamabad is the place for you. 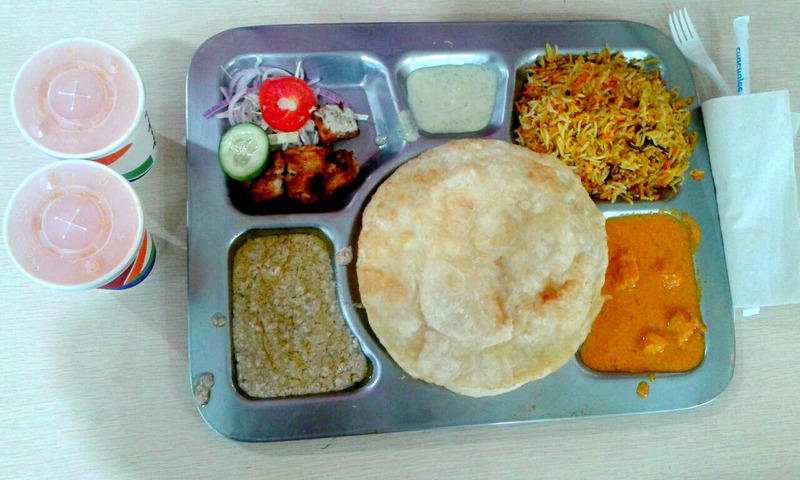 Have you tried any meal from Chacha Jee's menu? Aware of any place that offers scrumptious desi food in Islamabad? Do my taste buds a favour by leaving a comment below. Hello. We are Samra and Deepika. Grab your popcorn and, just stay put on our outlet for our whims and craze. Deepika's Book Haul from Amazon & Flipkart! The Brown Muses has a New Look and Feel!